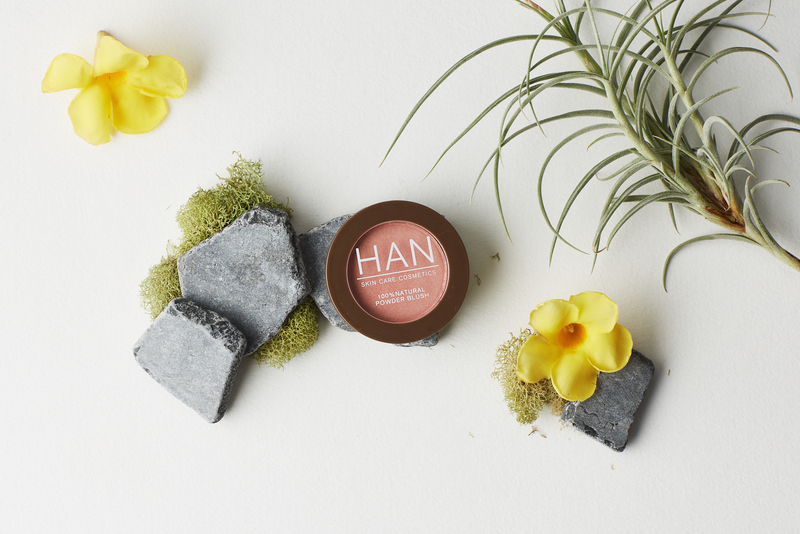 Pigmented from fruits, plants, and vegetables rather than artificial dyes, HAN Skin Care Cosmetics is a green makeup brand that caught my eyes when I first heard about them. 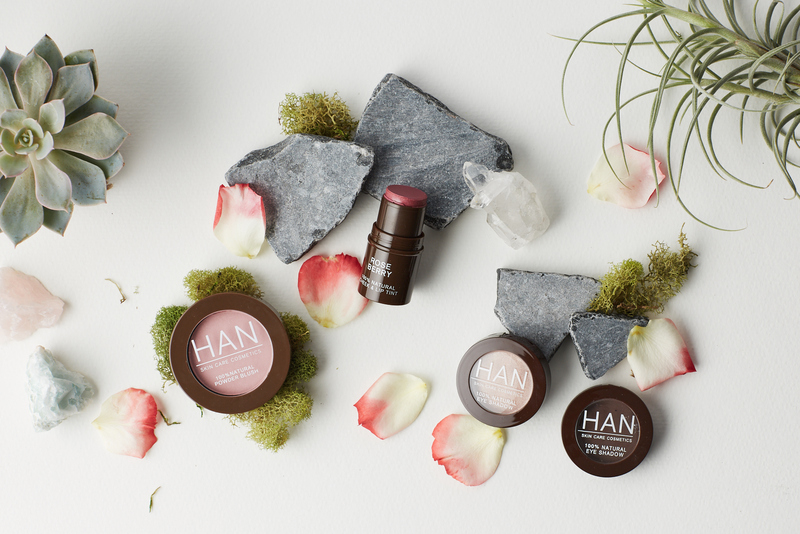 I love how HAN's products are packed with antioxidants and vitamins, too! 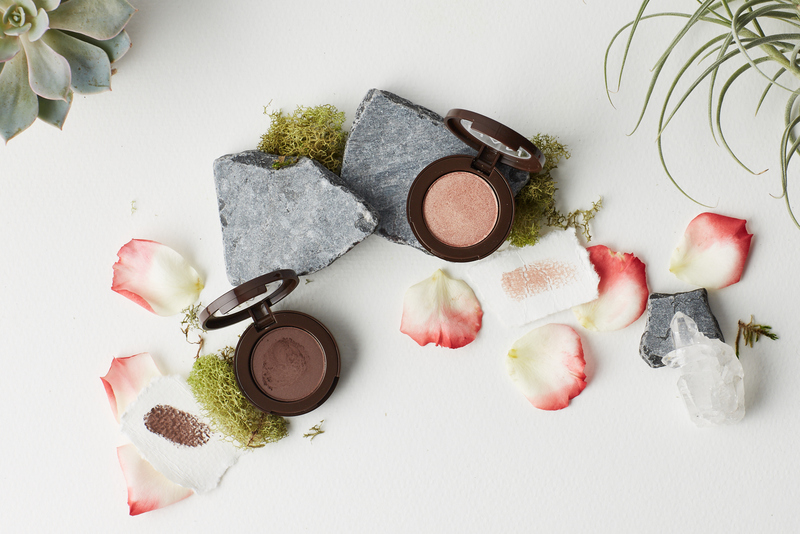 I'm always on the lookout for pressed green beauty products since majority of the products on the natural makeup market comes as a loose powder form—so of course, I had to pick up some blushes and eyeshadows (plus, they are quite affordable compared to its pressed green beauty makeup counterparts). 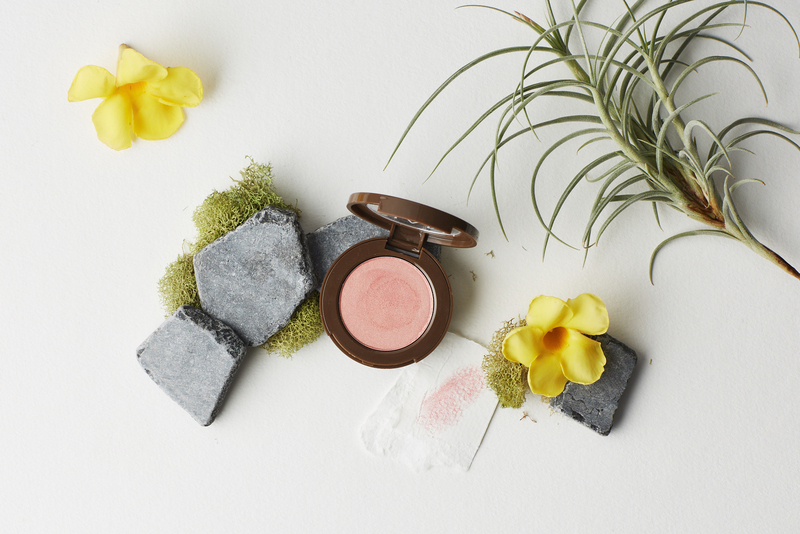 I originally picked up the Pressed Blush in Baby Pink, a matte ethereal cool-toned light pink, and fell in love with the amazing performance of it so I had to get another one in the shade Coral Candy, a peachy pink with golden shimmer. 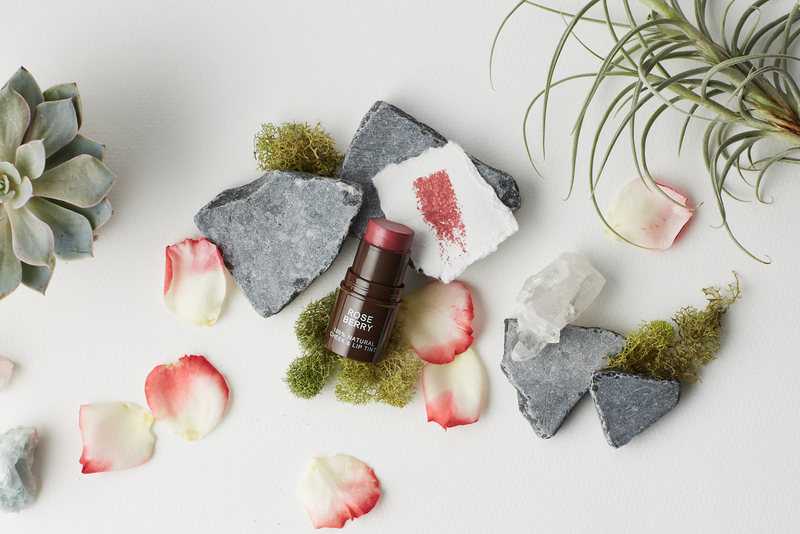 Lasts long on the cheeks—even on oily skin! Y'know when you add something to your cart just because there's a sale going on and because of FOMO (fear of missing out)?—Yeah, that's exactly what happened with this one. I didn't have any plans on purchasing the Cheek & Lip Tint in the shade Rose Berry but I just bought it because there was a sale during Black Friday Weekend on HAN's website. Unfortunately, I didn't check the ingredients and found out that it contains coconut after I received it and used it (oops). 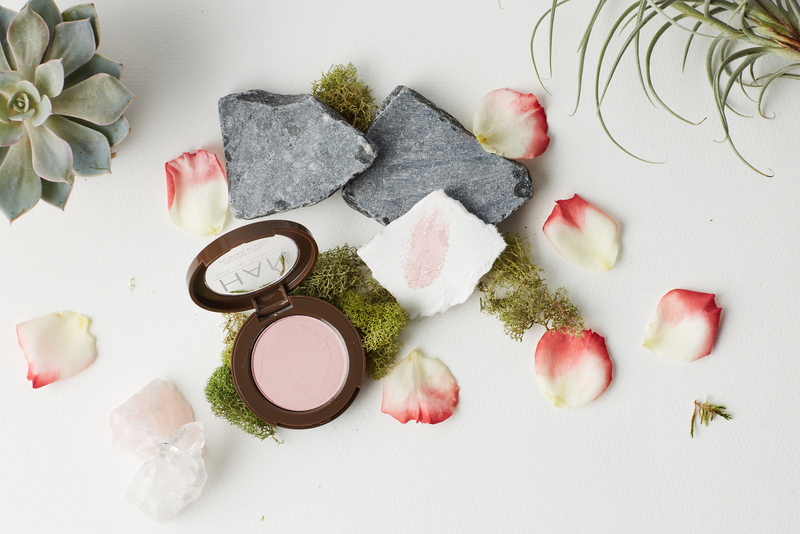 Within a few hours of wearing this cream blush on my cheeks, my skin started getting bumpy and dry. I picked up the Eye Shadows in Mystery, a matte deep brown with purple undertones, and Sunset, a shimmery peachy champagne. I use Sunset almost everyday on the eyes and sometimes use it as a cheek highlighter! Sunset works well as a highlighter, too! 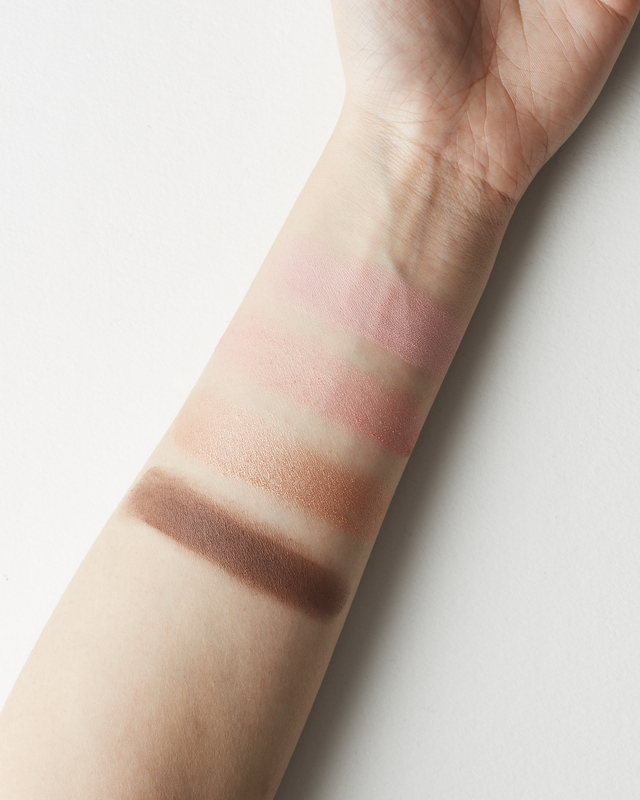 Overall, I'm super happy that I discovered the pressed blushes and eyeshadows from HAN! I really hope they come out with new blush and eyeshadow shades that are coconut-free. Which fruit-pigmented products would you pick up? They also make lip glosses, if you're into that!